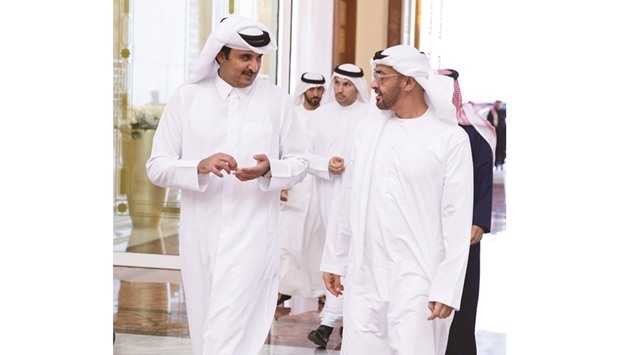 A three-month old crisis in the Gulf that has pitted Qatar against an alliance led by the UAE and Saudi Arabia has settled into a family squabble in which the protagonists appear to be singing different variations of the same song. Qatar and its detractors disagree on how they view the world around them and how they would like to shape it, but are in tacit agreement on the fundamental political structure of their respective states that seems designed to put a 21st century veneer on traditional autocratic and tribal rule. To be sure, Qatar has couched the defense of its controversial foreign policy and relationships with Islamic militants in the language of a forward-looking state that embraces concepts of democracy and press freedom. The UAE defends its approach as a pillar of the fight against terrorism and extremism. Yet, several interviews in which senior UAE diplomats make no bones about their defense of autocracy and the fact that their country’s alignment with the United States is based on interests rather than shared values is just as applicable to Qatar, which advocates greater political freedoms for others rather than itself. At the core of the dispute in the Gulf are different strategies for regime survival as Gulf autocracies are forced to diversify and rationalize their economies and rewrite social contracts that no longer offer citizens cradle-to-grave welfare in exchange of surrender of political rights. The different strategies are rooted in perceptions of how to come to grips with a post-9/11 world and a region whose fundaments were rocked by the 2011 popular revolts. Qatar’s embrace of the rise of political Islam and the quest for change that exploded onto the political scene with the uprisings that toppled four Arab leaders, constitutes, despite naively assuming that the Gulf state itself can remain immune to transition, a direct challenge to survival strategies adopted by the UAE, Saudi Arabia, Bahrain and Egypt. Among the four, the UAE has been the most radical and consequential in its effort to ensure the survival of its rulers. More than any other Gulf state, the UAE opted to discard past sensitivity to public empathy with Islamic causes in favour of wholly aligning its counter-terrorism policies with those of the United States, positioning itself as an indispensable military ally, and brutally suppressing dissent. The policy overhaul aimed to ensure US military support for a country whose sense of security has in part been shaped by Iran’s continued occupation of three Gulf islands, Abu Musa and the Greater and Lesser Tunbs. Iran seized the islands in 1971, two days before the UAE achieved independence. The policy change also constituted a response to the rejection on national security grounds by the US Coast Guard and Congress of a 2006 bid by Dubai Ports World to take over the management of several major American ports. “Having a company right out of the heartland of Al Qaeda manage those ports…is madness,” US Representative Peter King thundered at the time. The rise of US President Donald J. Trump with his apparent empathy for Arab autocracy and lack of interest in the traditional US promotion of democratic values, has emboldened UAE officials to be more forthright about the political philosophy that informs their system of government. ”We have our own style of democracy. We have something called the majlis system, which is open forums where people address their leaders, where they voice their grievances and they come and they say, ‘I need this’ or ‘This is a problem’ or ‘My son’s school isn’t working,’ and this is the Bedouin style of democracy. Is this the Jeffersonian style of democracy? No. But it works for us, it works for our culture, it works for our identity,” Yousef Al Otaiba, the UAE’s influential ambassador to the United States, recently told The Atlantic magazine. “If you asked the UAE, Saudi Arabia, Jordan, Egypt and Bahrain what kind of Middle East they want to see in 10 years, they would have opposed that of Qatar," Mr Al Otaiba said in a separate television interview. Instead, he said, Qatar’s detractors were pushing for "strong, stable and prosperous secular governments." Mr. Al Otaiba’s promotion of Western style-secularism appeared in contrast to the lyrics of the UAE’s national anthem that embodies Islam as part of the country’s identity. “You have lived for a nation whose religion is Islam and guide is the Qur’an,” the anthem says. The arrest in Abu Dhabi only days after Mr. Al Otaiba’s remarks and sentencing to a year in prison of two Singaporeans, a man and a pre-operative transgender woman, on charges of cross-dressing suggested that the ambassador’s notion of secularism was more akin to public norms extolled in the anthem than any notion of secularism. The sentences were subsequently reduced and the two Singaporeans allowed to return home. In yet another interview, Omar Ghobash, the UAE ambassador to Russia, was equally blunt in his defense of autocracy. “We do not claim to have press freedom. We do not promote the idea of press freedom. What we talk about is responsibility in speech.” Ghobash appeared to justify the UAE’s position on the same argument implicit in Mr. Al-Otaiba’s statements: the country’s rulers rather than its citizens know what is best for them. “Speech in our part of the world has a particular context, and that context can go from peaceful to violent in no time simply because of words that are spoken,” Mr. Ghobash said. Messrs. Al Otaiba and Ghobash’s portrayal of the UAE’s political philosophy seemed more in line with a decades-old news clip in a music video entitled ‘$heikh it’ by Kuwaiti-American hip-hop group Shafiq Husayn & the Sons of Yusuf than with a cutting-edge, 21st century state. “A man torn between two worlds. He’s an Arab sheikh who was born in an old Arabia and will die in a new one. He worships Allah, loves the desert, and is one of the richest men in the world. His forefathers ruled the world from the back of a camel, he rides it in a limousine. But he remains, as they were, the centre of tribal life. He’s the man you serve, the man you hunt with, and the many you fight for. Above all, he’s the man who leads,” the news reader intoned. To be fair, the news reader’s portrayal of change in the Gulf is equally true for Qatar, where the Gulf crisis has sparked a new wave of nationalism that centres on support for the country’s emir, Sheikh Tamim bin Hamad Al Thani. Like his counterparts in the UAE and Saudi Arabia, Sheikh Tamim is “the man who leads” and brooks no dissent. Time will tell whether that is a political model that can withstand far-reaching economic reforms, the radical rewriting of social contracts, and unstoppable technological advances. So far, however, it has allowed Qatar to stand its ground in a dispute in which the protagonists have beyond their differences much in common. even more, bringing in, inviting India into Afghanistan as a major investor, which, greatly inflaming the Pakistan-Indian tensions. on Asia and on geopolitics. Thanks for joining us. JAMES DORSEY: My pleasure to be with you. Afghanistan, and working with jihadists and working with Afghan fundamentalists that they want to call Islamic terrorists, this was U.S.
aw in Phoenix, Arizona, merely 24 hours later. Trump into account, but in many ways, will look at ways in which they can assert their own interests simply because the United States no longer is a reliable partner, or if it's not a partner, it's not even a reliable force. and what are your next moves? by violence, multiple attacks killing scores of people, including Chinese nationals. JAMES DORSEY: Meaning Balochistan, yes. with Pakistan without alienating India? They seem to be poking a stick in India's eye. in terms of their support for, or selective support for militant groups. enough. You've got to clean up your act." PAUL JAY: The longer-term projection of this, if in fact--I say "Trump,"
of weird all into itself. PAUL JAY: How dangerous is it? military conflict is not going to force them to do so? That's unlikely. again, is going to add to the tensions between Pakistan and India. whatever it is, of Trump in office, there were two major constants. embed your military efforts in the broader policy, they're going to fail.